A non-asset based airline, or NABA, does not own or operate its own aircraft but acts as an airline in all other respects. For some, the concept of an airline without aircraft is troubling – an oxymoron or a misnomer. However, the same people would probably happily sit in a taxi without feeling compelled to enquire whether the driver owned the vehicle, was leasing it or was just using it for the day, provided that they arrived safely and were properly insured. Aviation is necessarily an asset-heavy industry, however it is worth bearing in mind that air cargo is a service. That is a point that can be easy to forget when the operational staff at most airlines vastly outnumber the commercial team. The advantage of NABAs is that they get to outsource most of the operational complexity and centre on what is at the heart of our industry: providing excellent service to customers. While customers may be sensitive to the name and appearance of the aircraft they fly on, cargo is not. Cargo customers are looking at price and performance and that’s where NABA’s score. •	Dedicating more resources into communicating with customers and ensuring that their needs are met. do better than the customer can do themselves by going to an asset-owning airline directly. finding the best solution for the customer from the capacity available. NABAs know that they have to deliver more value to both the customer and the operator than each can do by themselves. As NABAs rely on other’s capacity, they assist ‘regular’ airlines to get better returns from their assets – particularly important when there is so much downward pressure on yields. Coyne Airways were arguably the first NABA. Starting as charter brokers in the mid 90’s and using Soviet-built aircraft to operate weekly flights to Central Asia, they developed a loyal following of customers who needed to get freight to the fledgling oil business in Kazakhstan. However, as is so often the case, the cargo never fitted the chartered aircraft perfectly, and so Coyne decided to take the risk of filling the flight and published a service using aircraft chartered in the local market. This overcame any thorny traffic right issues and supported local carriers. For Coyne, it was only a small step from there to connecting freight from all over the world by developing a network of interlines, and using the scheduled capacity of other carriers. Coyne has since expanded the same successful business model to offer service to Iraq, Afghanistan and Africa. NABAs are a positive force in our industry, for both customers and asset-owners. Now is the time to recognise them and give them all the support they deserve. 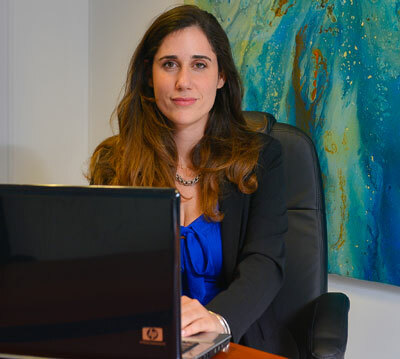 Liana is a graduate of Oxford University and an English qualified solicitor. She worked for international law firm, Baker & McKenzie, in both their London and Hong Kong offices for nearly six years prior to joining the family business. Liana is COO of Coyne Airways. Since its establishment in 1994, the company has built a global reputation for providing reliable and secure scheduled cargo services to some of the world’s most difficult to reach destinations. Coyne’s team of multi-lingual air cargo specialists are proud to have pioneered routes into the Caucuses, Central Asia, the oil and gas rich Sakhalin Island and other destinations. Today, Coyne’s reputation as one of the industry’s most successful ‘solutions providers’ has earned the company a growing client base of international freight forwarders as well as a host of major airline interline partners that make these complex destinations accessible to customers all over the world through Coyne’s hubs in Europe, the Middle East and Africa. Coyne Airways is a neutral service provider with a proven track record for both the reliability and quality of its services and communications. In destinations where local difficulties are a part of everyday life, Coyne Airways’ customers are able to manage their businesses with complete confidence because of Coyne’s local market expertise and contacts, its ability to recover potential delays before they impact the customers’ supply chain and through its open and honest approach. Since its inception, the company has demonstrated its ability to develop and grow into new markets to meet the needs of the world’s forwarders. Coyne was the first to offer scheduled freighter services to the former CIS countries around the Caspian Sea, and area it continues to serve today from its hub in Tbilisi. In 2004, it initiated freighter operations into Iraq, following this in 2006 with the launch of scheduled services to three destinations in Afghanistan; Kandahar, Bagram and Kabul. In 2012, Coyne Airways consolidated and extended its service offering to include 38 destinations in Africa. Despite the obvious operational and security issues presented by these difficult markets, Coyne has achieved an enviable reliability record for its customers, enabling them to realize the potential of these emerging markets.